This book acts as a sequel to my Venice book Afraid of the Dark, as it opens where the previous book leaves off: with my departure from the north, heading toward Rome once again. Rome is my city where I came of age beginning in the 1970s and continued for the next several decades. It is my personal story of reclaiming my culture by telling it in a series of non-fictional stories. The Prologue sets the pace of ongoing movements and encounters, by first addressing the animosity between the people of the north and the southern, Mezzogiorno area. This theme continues into the first story about the life and the characters of Pensione Odeon and my relationship to them on varying levels of experience, reflecting class differences. Told as personal encounters, the stories present the nuances of Italian culture. 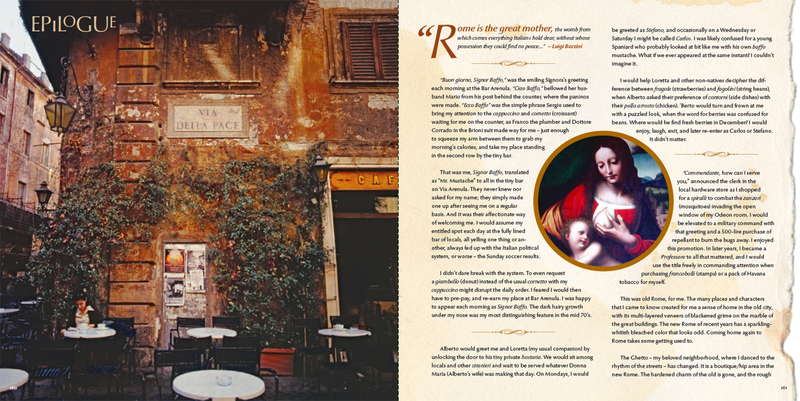 Rome features several portfolios in picture spreads: The Dance of the Street/ Roman Still Life/ Roman Portraits/ Roman City Views. These graphic displays cover a period from 1975-2012 and reflect a close up and highly subjective view of Rome. Some personal stories are reflected in Sabato Sera (Saturday Evening), a tale of being arrested by the Carabinieri during a riot and talking my way out of being thrown into jail. Another story is about the dramatic death of the former Prime Minister, Aldo Moro called La Morta di Moro. 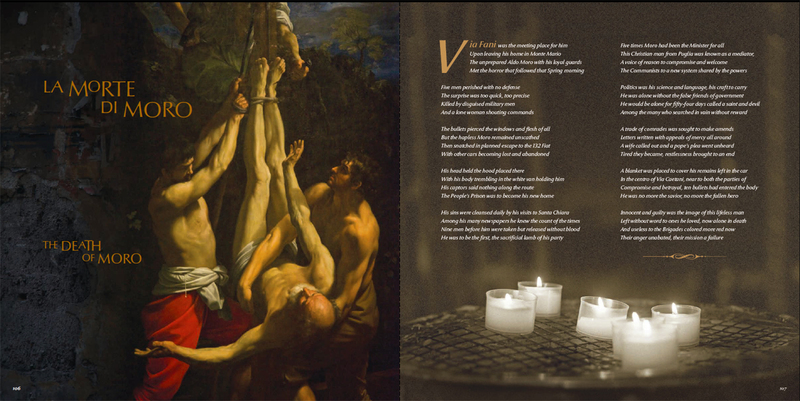 This writing presents both 3rd person accounts of the chilly atmosphere and the events of the fifty-four day period of Moro’s captivity, juxtaposed with 1st person account of my disrupted activities in photographing and preparing for an exhibition. 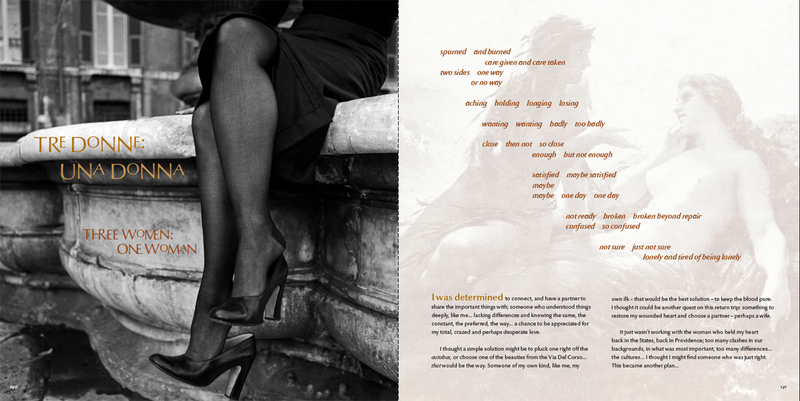 Tre Donne: Una Donna (Three Women: One Woman) is the final story preceding the Epilogue, which will wrap up the book in talking about changes to the city and culture over a forty-year period. Tre Donne has several encounters presented with some unusual events, and ultimately coming to some strong realizations about love and its many complexities. The Epilogue does complete the book in referencing past and present times, nostalgically told while making point of Rome’s great appeal and eternal power of survival. 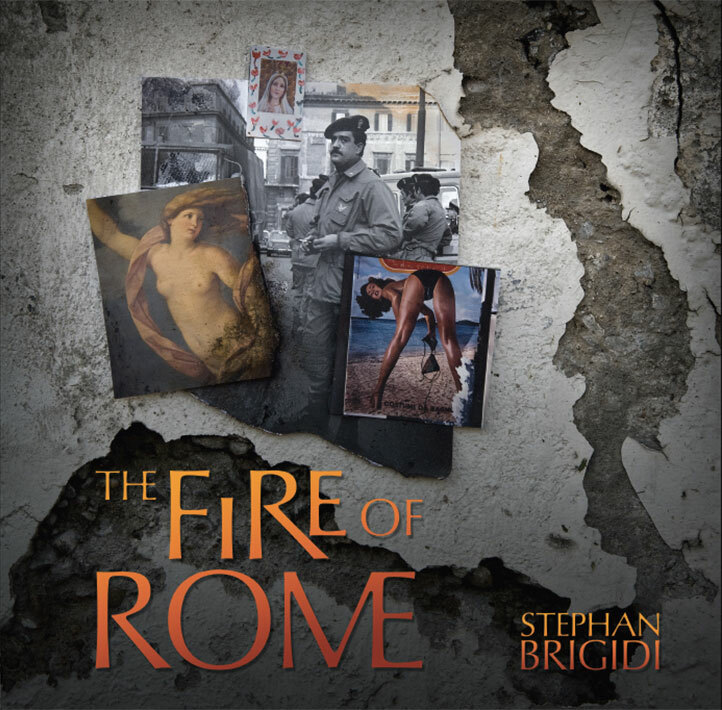 The Fire of Rome is now realized as an artist’s limited edition of twenty copies. The 172 pages have over 250 photographs from the forty years of living and working there. A Spring, 2017 mass-market publication is anticipated.